The only qualification Braj Bihari Kumar has for this post is his loyalty to the ruling government and its ideology. 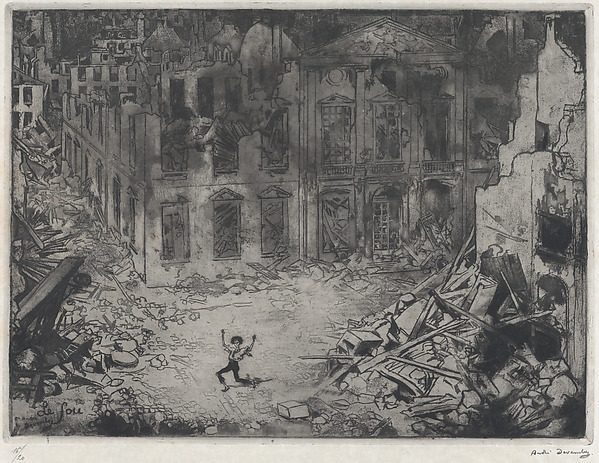 André Devambez, 1867–1944, aquatint on vellum / Image Courtesy: The Met Museum. In May 2017, Braj Bihari Kumar was appointed the Chairperson of the ICSSR, the premier government institution for social sciences research. Does Kumar have the academic and research credentials for this job? Or has the government, predictably, bypassed democratic procedures by appointing Kumar? The ICSSR collegium, which is in charge of appointing a new Chairperson, was allegedly kept in the dark over Kumar’s appointment. Braj Bihari Kumar has written controversial books on various topics that have to do with the social sciences. He has said that Naga tribal identity was built up by colonial administrators and Christian missionaries. On the demarcation of states, he is of the opinion that small, economically unviable states are a bad idea. In one of his books, he even blames Muslim rulers for the caste system in India. The 2015 October-December edition of Dialogue reads, “Narendra Modi has proved himself to be the best Prime Minister. The economy of the country was in bad shape, when he came to power; in the brief period, we have overtaken China in GDP growth…” Last month’s report on GDP shows that India has officially lost the tag of the fastest growing economy to China as the March quarter registered a growth rate of 6.1 per cent much below than expected 7.1 per cent. The GDP growth was 8 per cent in 2015-16 and 7.5 per cent in the previous year. It is evident that the only qualification Kumar has for this post is his loyalty to the ruling government and its ideology. Hardly a fortnight after he took office, he made a controversial statement: that teaching school children about Hindu-Muslim riots will make them social activists. The implication is that “social activists” are undesirable. Even worse is the implication for education, that students need not – or should not – learn about the reality of India. More recently, JNU professor Amita Singh, who had kicked up a storm last year with her remarks that all Dalits and Muslims are "anti-nationals", is among the thirteen people chosen by the HRD Ministry as member of the ICSSR. The cases of Kumar and Singh indicate what has happened to autonomy, democracy and diversity of opinion in ICSSR, a premier body no longer allowed to be premier.